There was something of a sense of today being a “return to normal” after a week filled with more merriment than usually takes place in a month. It concluded yesterday with a little trip to see Her Majesty at Holyrood Palace. I must put pen to paper on a post about the inferior quality cucumber sandwiches, in due course. Anyhoo, “normal” today meant a two-stop lunch. 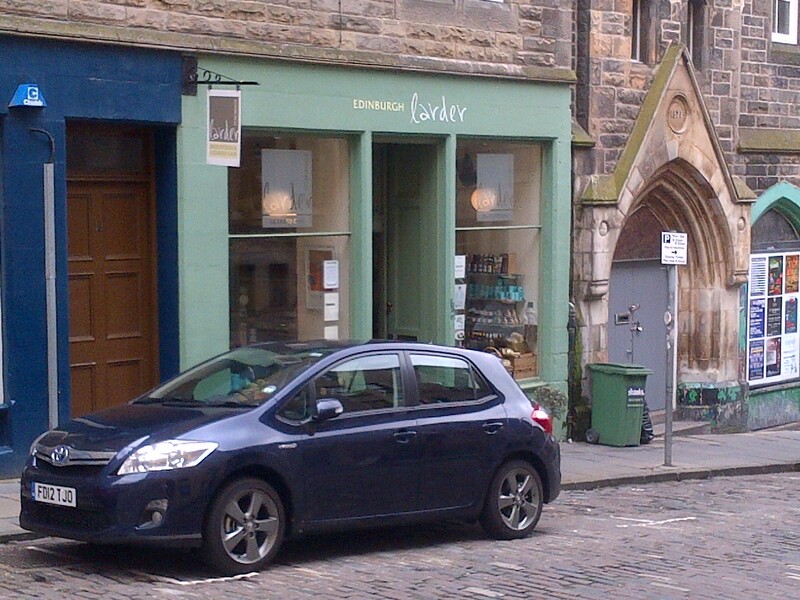 First up was Cranachan and Crowdie on the Canongate, which is a lovely little Scottish speciality food shop. It has been open for around five weeks, and as Edinburgh Foody says in her excellent post, all the products are Scottish. It’s well worth a visit, not least for the delightful welcome from Beth and Fiona. 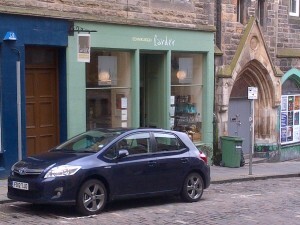 My second stop was at the Edinburgh Larder. For some reason, I’ve had it in my head that it was on St Mary’s Street, so have set out to try its wares on a couple of occasions, then been distracted by other places (Circus and Wee Bite spring to mind). But today, I was focussed on finding it, and having correctly ascertained that it is in fact on Blackfriars Street, was soon welcomed in to its busy confines. Seating around twenty, this charming spot radiates homemade heartiness from every fibre of its being. 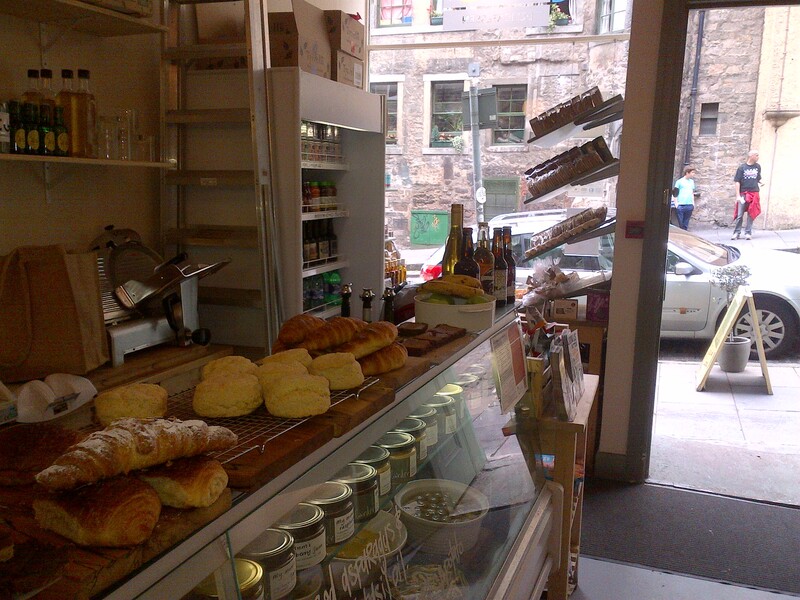 Their deli counter is packed with sweet and savoury delights, and is a feast for the eyes. I was pressed for time, today, so couldn’t linger long to savour the visual delights of the place from one of the tables, instead opting for a quick soup and sandwich to take away. 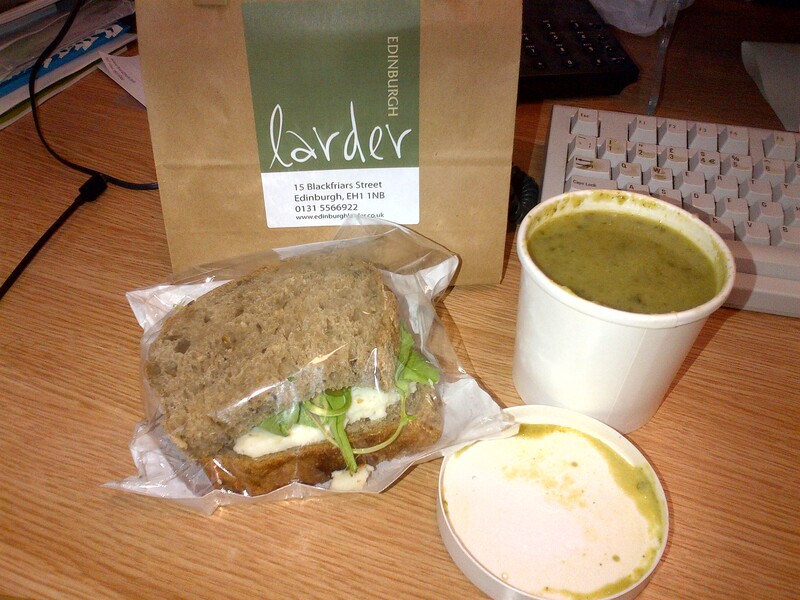 There were two soup options, with courgette (to which I’ve recently learned one of my work chums is violently allergic) or ham, broccoli and watercress. I opted for the latter. 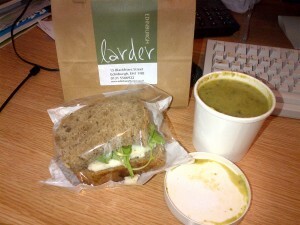 To accompany, I chose a half sandwich filled with goat’s cheese, roasted peppers and salad leaves. I made my way back to my place of business, rather pleased with my lunchtime’s work and eager to try the tasty victuals in my little brown bag. 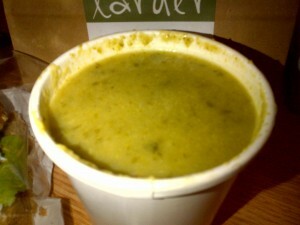 After ascertaining that the soup was hot in its neat container, I munched the sandwich. The goat’s cheese was excellent, the salad leaves fresh, and the bread just beautiful. The peppers could have used to be a little punchier to balance the striking piquancy of the cheese, but that detracted little from what was a very good sandwich. The soup was even better, and becomes the tenth entrant in to that hallowed pantheon of Edinburgh soup that is soup quest’s “exceptional” category. The ham was bursting with flavour and was balanced nicely by the broccoli, while the watercress offered a lovely, lingering, peppery finish to each spoonful. 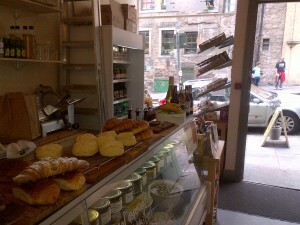 So it’s fair to say that I was rather pleased with my visit to the Edinburgh Larder. They’ve recently opened a bistro on Alva Street, and I’ve been promising to visit. This experience will certainly serve to accelerate my plans, as I can think of few places in town that serve such high quality fare, particularly at the very reasonable prices they charge. 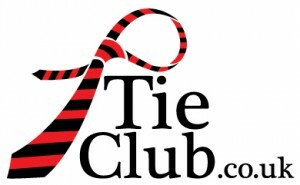 I’d recommend you pay the place a visit at your earliest convenience. There’s a good chance you’ll find me there, too, as now that I’ve finally found it, I suspect I’ll be a frequent visitor.